Hey guys, I hope this topic is okay to post. I would quite like to get it stickied, as it seems like a common-enough problem plaguing the forums since I've been a member here. 1) Take your photo(s) of your glove and save them to your computer desktop (or whatever other folder you might prefer). 2) In your browser, open the website http://www.imgur.com. 3) On the top right of the imgur website, under the Upload images header, click on the "Computer" button. 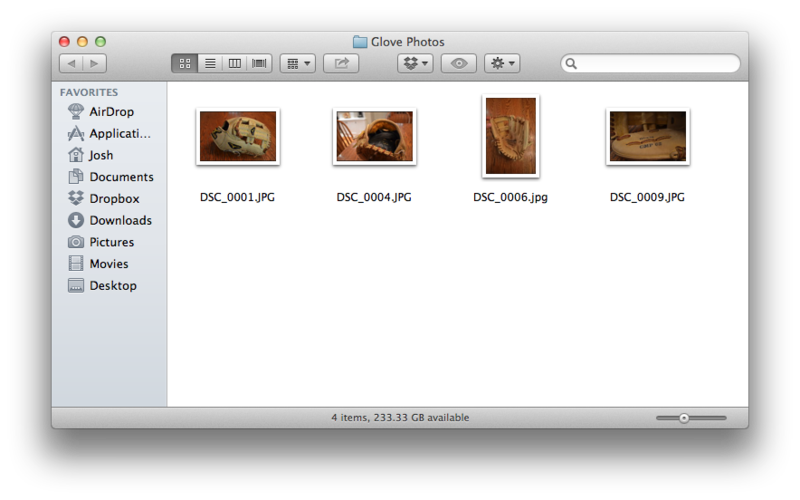 4) In the file explorer that pops up, navigate to your desktop or appropriate folder where you saved your photo(s). 5) Select your photo(s). To select multiple photos, hold down the "Control/Ctrl" button on a PC (without letting go!) or the "Command" button on a Mac (without letting go!) as you click on the multiple photos. 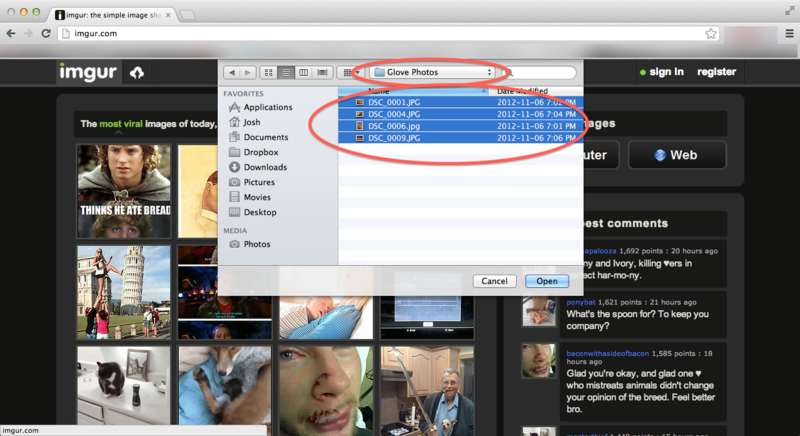 6) When all the photos you want to upload have been selected, click on "Open" in the file explorer. 7) After clicking "Open," an Upload images prompt will open with the photos you have already selected ready to be uploaded. Click on the "Start Upload" button**. 8) The photos are now uploading. Be patient as they do so. 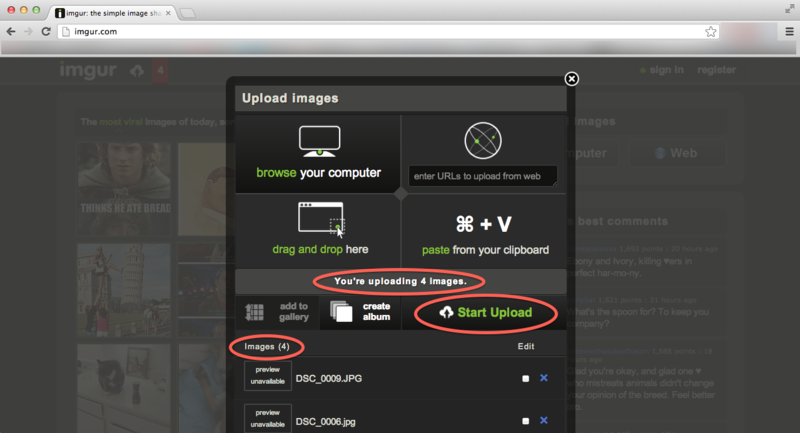 9) When the upload is complete, you will be able to view each individual photo you just uploaded. To the right of each photo will be multiple options. Where it says, BBCode (message boards & forums), click on what looks like papers to the left of this message box. This will copy the appropriate coding to post to the Glove-Works. 10) One photo at a time, come back to your created thread on GW and paste the just-copied code into your "For sale" thread. 11) That's all there is to it! It's actually not. 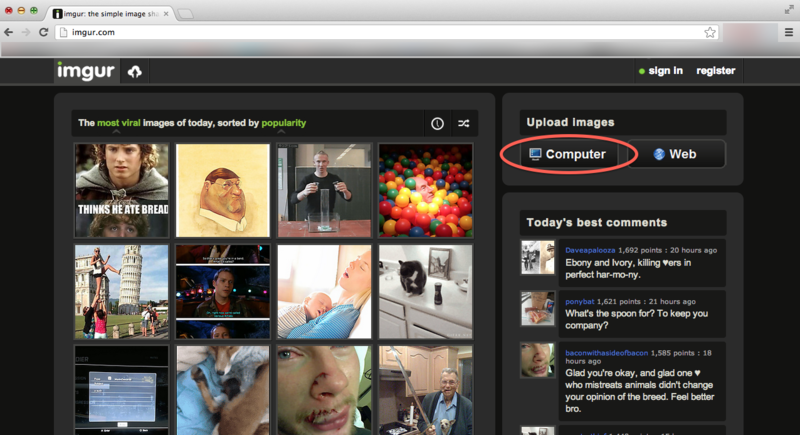 You can drag and drop your photos directly onto the website to upload them at imgur. It's a breeze and a way more reliable website.